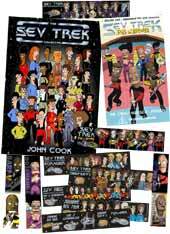 The Sev Trek Essential Pack (NTSC) contains all the essential items a Sevilian needs: the Sev Trek Video, the 80 page Sev Trek Book and all the Sev Trek Movie and Cartoon Bookmarks. 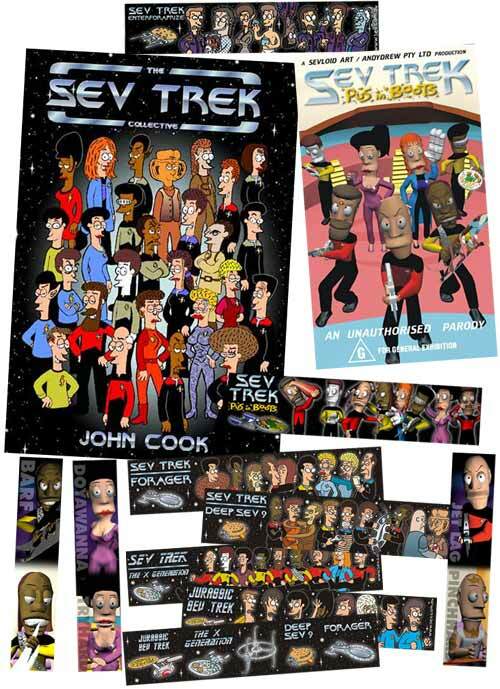 All 6 cartoon bookmarks (the handdrawn ones) are FREE in this pack! The tape format is VHS Video in NTSC format. Note - this is the format used in USA, Canada and many other countries. Here is a page listing what type of tape each country can play.